Our mold inspection professionals will not only find the mold in your Clemmons, NC home and eliminate it, but they will also prevent it from coming back. You may be wondering how you would know to call for a mold inspection. If you are experiencing any of the following problems in your Clemmons, NC home or building, mold may be present. 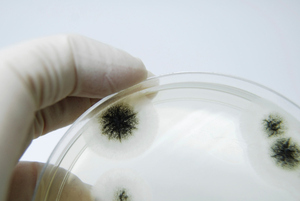 Visible signs of mold—remember that different species of mold appear differently. Mold can be black, white, gray, green, and other colors. Signs of water damage in the building, including discolored ceilings, floors, and walls, rusty pipes, or bubbling/peeling paint or wood. Flooding caused by a bad rainstorm, broken pipe, etc. Mold needs a water source and oxygen to grow. With a mold inspection, we can determine the source of the water that is feeding the mold, so we can eliminate the root of the problem. Mold thrives in dark spaces (wall cavities, basements, crawlspaces) and can be hard to find. A mold inspection will pinpoint the site of the main colony so further growth can be prevented. A full inspection of your property by a Certified Mold Remediation Contractor. Assessment of mold growth and locale of the mold colony, if one is present. Detection of the water source that is feeding the mold. Detailed recommendation for mold removal services, if needed.